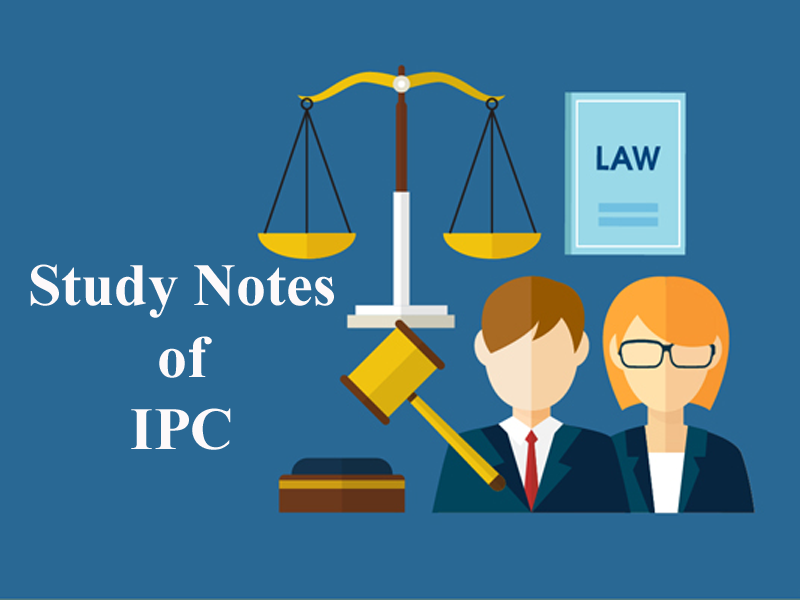 Here we are providing you updated and most relevant Study notes on IPC of Sedition for Law Entrance Exam. These study notes are highly recommendable for all those who aspire to crack CLAT, DULLB, AILET and other Law Entrance Exam. Section 124(A): Sedition implies the misdemeanour of publishing orally or in any other manner of communication with the intent of exciting disaffection, hatred or contempt against the Govt. establishment by law. brings or attempts to bring in to hatred or contempt, disaffection towards the Govt. established by Law in India, shall be punished with imprisonment which may extend to three years to which fine may add or with fine. Explanation 1. Expression “Disaffection” includes disloyalty and all feeling of enmity. 2.Comments expressing disapproval of the Measures of Govt. with a view to obtain their alteration by lawful mean without exciting or attempting to excite hatred, disaffection does not constitute an offence under this section. S.C. held that more exciting disaffection without incitement to violence does not amount to sedition. The essence of the crime is the intention of the writer or speaker. If the objective is to make people aware about the bad impact of the proposed economic policy of a State then it is not illegal but if the intention is to excite disaffection, in spite of public disorder and violence wrongdoer will be liable under this section. Sec 124 (a) Covers Attempt to excite also for eg. A writes a seditious letter to B, C, D and others to intercepts in between and letter never reaches to address. Authorship of Sedition material alone is not a gist of any of the offence. Distribution and Circulation of sedition material may also be sufficient on the facts and circumstances of a case. Publication is an essential ingredient of sedition. 3. If the objective is to make people aware about the bad impact of the proposed economic policy of a State then does it amount to sedition? 4. A writes a seditious letter to B, C, D and others to intercepts in between and letter never reaches to address. Will A be held liable? 6. X a writer wrote a book criticising the Swatch Bharath mission. Will he be held liable? 8. “A” raised many slogans against the Govt which was to the effect of death to the country. Many people were provoked by these slogans, went and destroyed various Government offices. Does this amount to sedition as defined under the IPC? 9. Does exciting disaffection without incitement to violence amount to sedition? 10. Y an artist sketches cartoons in his personal book making fun of the recent economic policies of the Government. He does not publish them anywhere. Will this amount to sedition? Get the updated and most relevant study notes on IPC of Sedition for upcoming CLAT and other Law Entrance Examination.